The Grandstream GXW4216 Gateway is part of a new generation of SIP-compatible, high-performance analog gateways that are broadly interoperable with various VoIP, analog PBX and phone systems available on the market. 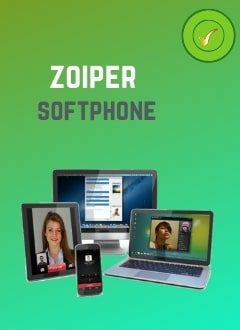 It features 16 FXS analog phone ports, superior audio quality, advanced telephony features, simple configuration, flexible numbering plans, robust security, and excellent performance for managing a wide range of applications. voice calls. This excellent gateway provides small and medium-sized businesses with an affordable analog and IP telephone system, allowing them to enjoy the benefits of VoIP communications by controlling their investments in existing analog phones, fax machines and PBX systems. 16 FXS ports with one LED for each port. 50-pin Telco connectors and RJ11 ports. 128x32 graphic LCD display with backlight. 4 different SIP server profiles per system and independent SIP account per port. Support for voice / fax codecs, including G.711, G.723.1, G.726, G.729A / B, iLBC, T.38 fax.